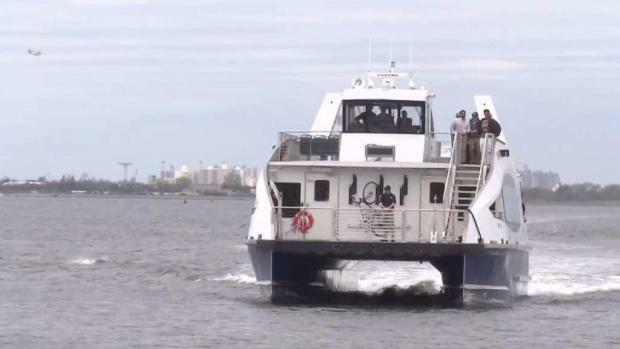 The first ride of New York City's new ferry service is completed. Katherine Creag reports. The first two routes of a planned citywide ferry service launched Monday morning. The ferries cost $2,75, the same as a subway ride. A monthly pass is $121, also the same as the monthly subway fare. Many of the boats are being named by second-graders; they include "Lunchbox," "McShiny" and "Friendship Express"
The first two routes of a long-awaited city ferry service officially got underway, connecting Queens, Brooklyn and Manhattan for the cost of a subway ride. The first ride on the Rockaway Route launched to the public at 5:30 Monday morning. The first ride on the East River route launched at 6:30. "A new era begins in New York City," Mayor Bill de Blasio said. The Rockaway and East River routes were the first to go into service. One has stops in Rockaway, Sunset Park and Wall Street. The other has stops at 34th Street, Hunters Point South, Greenpoint, North and South Willamsburg, Dumbo, Governers Island and Wall Street. 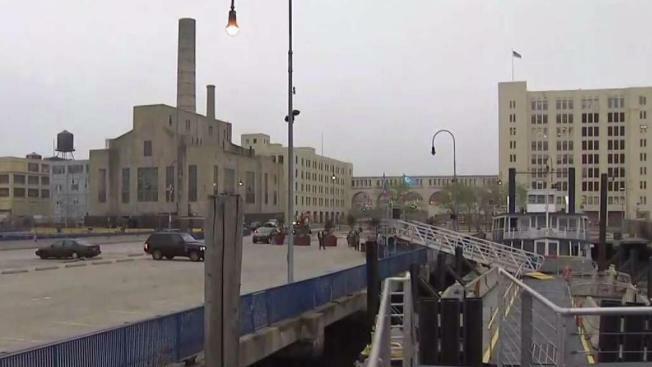 New York City's new ferry service officially launched Monday morning. Katherine Creag reports. The Rockaway route will run every hour, on the half hour, between 5:30 a.m. to 8:30 p.m. Weekend service begins at 6:30 a.m. There is room for surfboards and bicycles. Ferry rides cost $2.75, the same as a subway fare and bus ride. A monthly pass will be $121, also the same price as the subway fare. Each boat carries 149 people. Many are looking forward to the new ferry service. "The trains are overcrowded and summer is coming," Margie Beck said. "This is even better that this is starting now." Second-graders named the ferries, which explains the colorful monikers, including "McShiny," "Lunchbox" and "Urban Voyage." One of the new multimillion-dollar ferries heading up to the city had to make a detour along the way. Andrew Siff reports. De Blasio took a maiden voyage Sunday on a ferry at the Rockaway stop. "This community, for too long, didn't have the connection to the rest of the city that it deserved," de Blasio said. A new shuttle bus service provides access to the Rockaway ferry terminal, he said. See the routes and schedule here. The South Brooklyn and Astoria routes launch in June and August, and the entire NYC Ferry system will fully launch in 2018. Ferry Rides for the Price of a Subway Swipe? Mayor de Blasio says the new $2.75 fare will take effect when citywide ferry service starts this summer. Andrew Siff reports.